Danish pig farmer, Ib Pedersen, found that the incidence of birth defects & other health problems went way down after switching his pigs from GMO to NON GMO feed. He sent piglets with birth defects to a lab for testing. 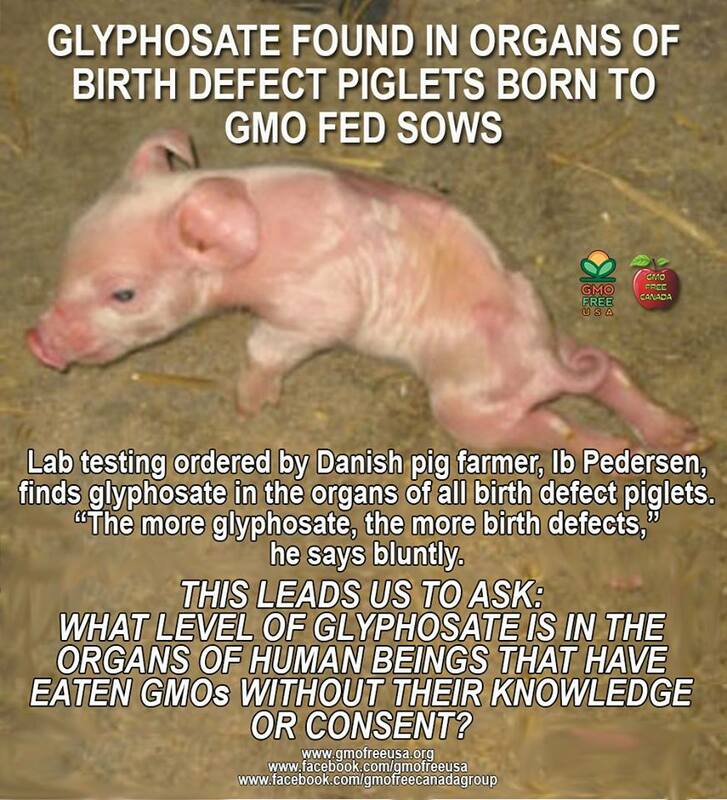 Most disturbingly, the test results showed that the piglets with birth defects had levels of glyphosate in their organs. The higher the level of glyphosate, the worse the birth defects. This leads us to ask…. what level of glyphosate is in the organs of the human beings who are consuming GMOs without their knowledge or consent? This entry was posted in GMO & Monsanto and tagged Genetically modified organism, glyphosate, GMO, Monsanto by Larry Shivers. Bookmark the permalink.